It is as you were this weekend with both 43924 and 41241 once again on duty. On Saturday MR 0-6-0 4F 43924 will operate the steam service after our Class 101 DMU has started proceedings at 09.00 from Oxenhope. 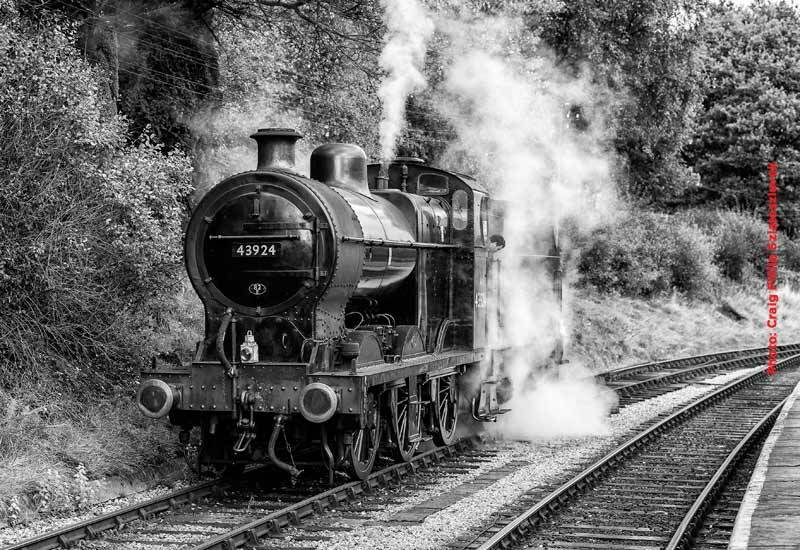 Then on Sunday 43924 is joined for a 2 steam train service by Ivatt 2-6-2T 41241. There will be 2 locomotives in use this weekend. On Saturday MR 0-6-0 4F 43924 will operate the steam service after our Class 101 DMU has started proceedings at 09.00 from Oxenhope. 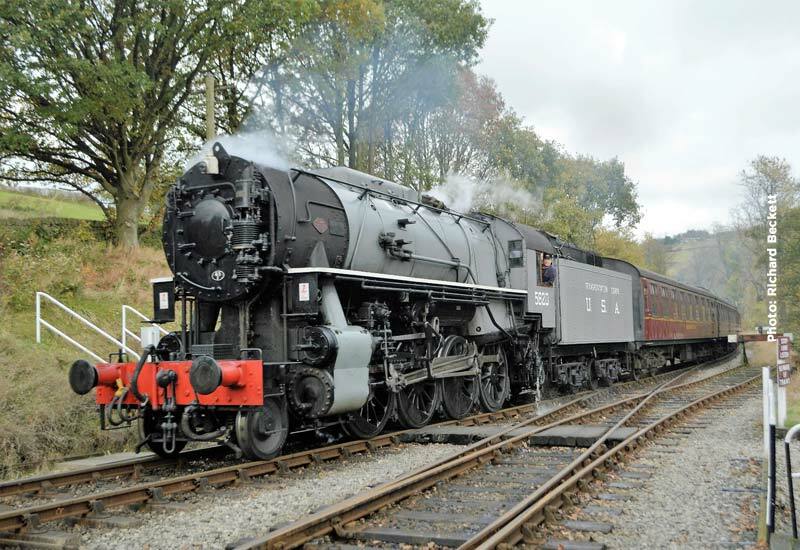 Then on Sunday 43924 steps down and Ivatt 2-6-2T 41241 will operate alongside the Class 101 on the 2 train Sunday service. There are 5 days of continuous passenger workings this week starting on Wednesday with our midweek diesel railcar service which, once again, will feature our Class 101 diesel multiple unit. One of the North of England’s best Beer & Music Festivals starts on Thursday at 12.30 and continues right through to Sunday evening with train services operating Thursday – Saturday until close of business late into the night and until early evening on Sunday when the Festival will close for another year. The services will be operated each day as follows. For the timetables in operation during the Festival, click HERE to download the timetables for all 4 days of the Beer & Music Festival. 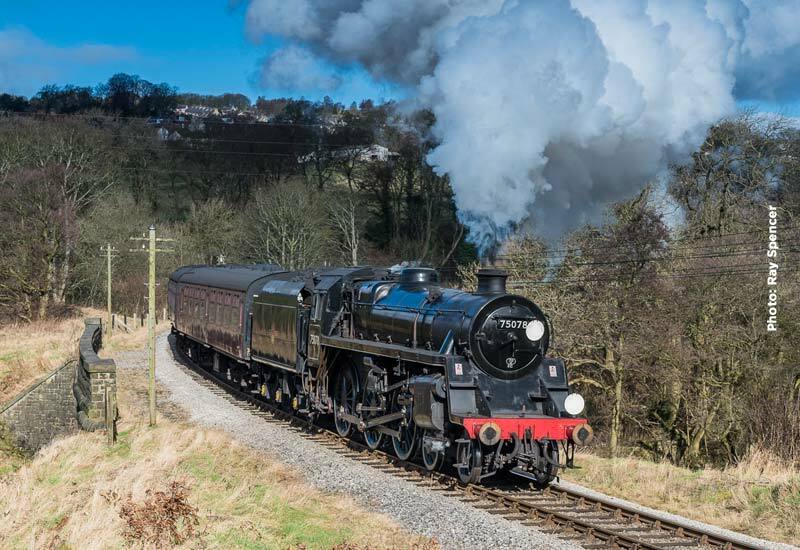 The one week school half term is once again split over 2 weeks dependent on the education authority area so this year we will be operating a Tuesday – Thursday steam service for the next 2 weeks. 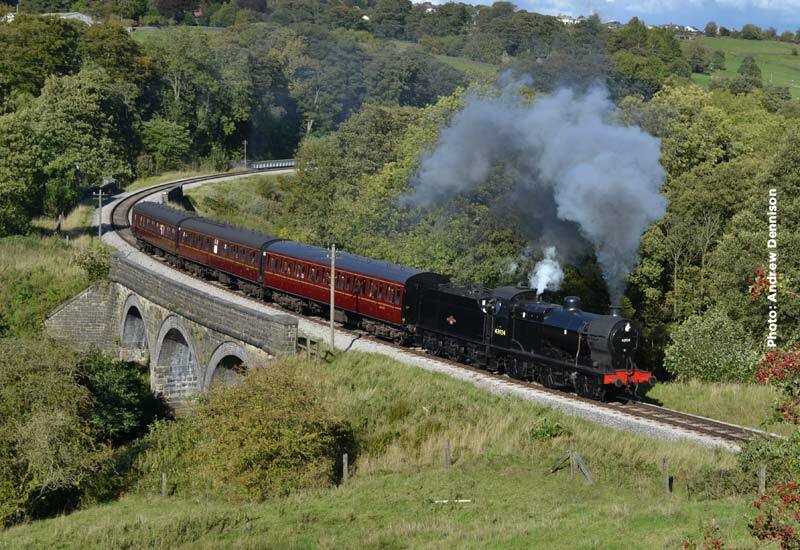 The service for the 23rd – 25th October will be hauled by BR 4MT 4-6-0 75078. This news post normally covers the upcoming weekend and the following 5 days. However with the Beer & Music Festival starting next Thursday, 18th October, this bulletin covers just the weekend service and mid week. A special Beer & Music Festival locomotive roster update will be issued next week covering all 4 days of the Festival. After the exertions of our Civil Engineers, who have been tackling jobs at Oxenhope (south end points of the run round loop, Haworth (raising the north end of the platform to its correct height) and Oakworth (relaying track through the station) the weekend timetables revert back to the Green timetable on Saturday and Blue on Sunday. With Civil Week over and no weekday steam trains, we re-introduce our midweek diesel railcar service which will operate to the Yellow timetable every Wednesday until 17th October. 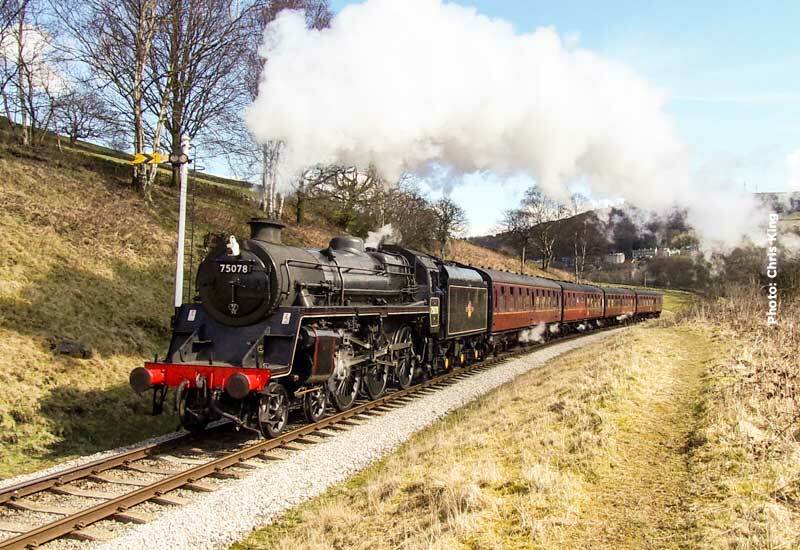 The weekend’s steam service starting from Oxenhope at 11.00 will be a 4 coach train behind USATC S160 2-8-0 5820 on both days and will be joined on Sunday by MR 4F 0-6-0 43924 on the 3 coach suburban set. Once again the Saturday early morning diesel service will be in the hands of our Class 101 diesel multiple unit and this will also operate the 5 round trips on Wednesday. Visitors to the Railway will notice that the work to increase the height of Haworth platform is ongoing with the north end, approximately 180ft, out of bounds to visitors and permit holders wishing to access the trackside, from Haworth Station. This restriction will continue until all reconstruction work has been completed. 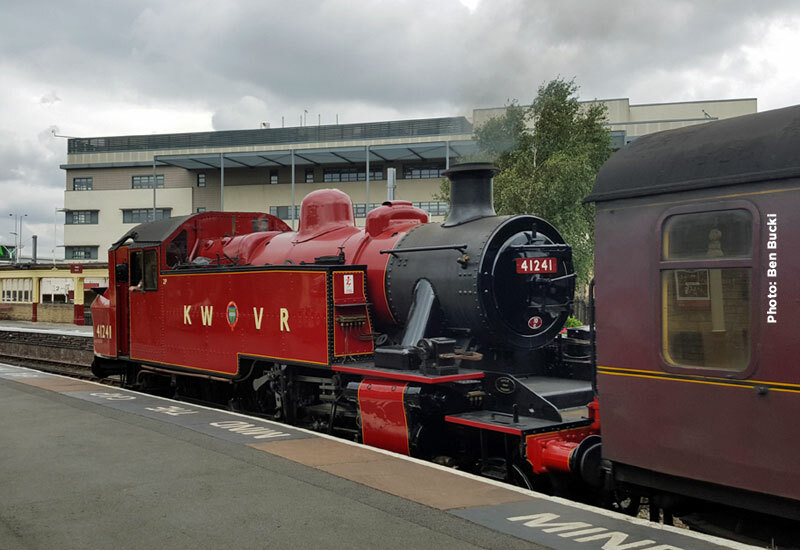 With the hot weather continuing and our trackside tinder dry, it has been a challenging week for the Railway, but, there is no steam ban on the KWVR and steam passenger services continue, but this weekend with a little help from the rear. 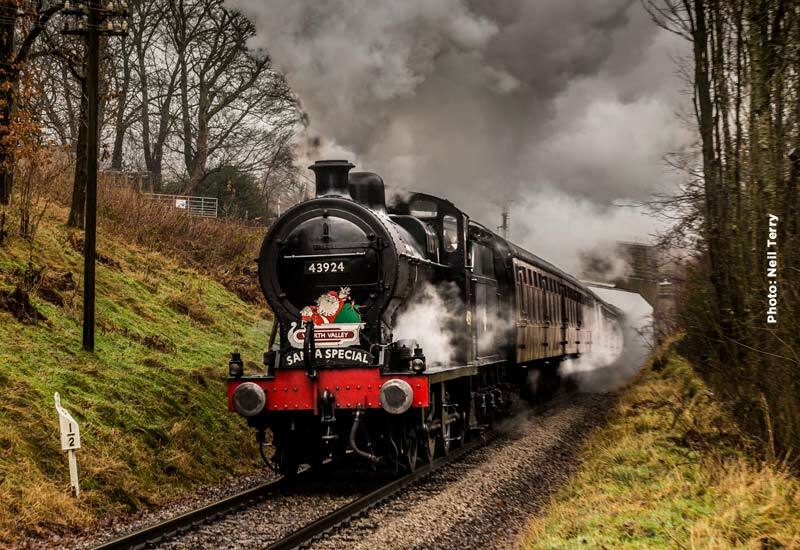 This weekend BR Standard 4MT 4-6-0 75078 will head steam services on both days as footplate crews are urged to drive steam locomotives sympathetically to the conditions. With this in mind these trains will be “banked” by BR Class 20 diesel 20 031. 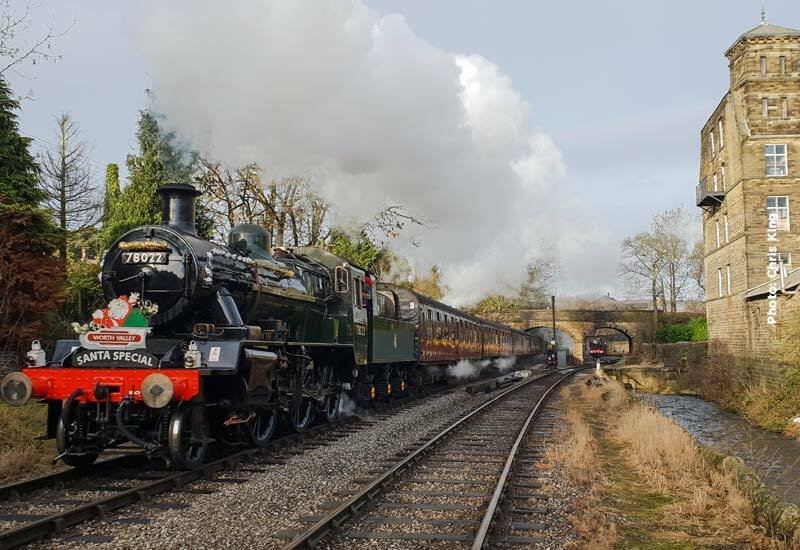 This pairing continues on Sunday when we will also have the second of our vintage Sundays which this weekend will be headed by MR 4F 0-6-0 43924. 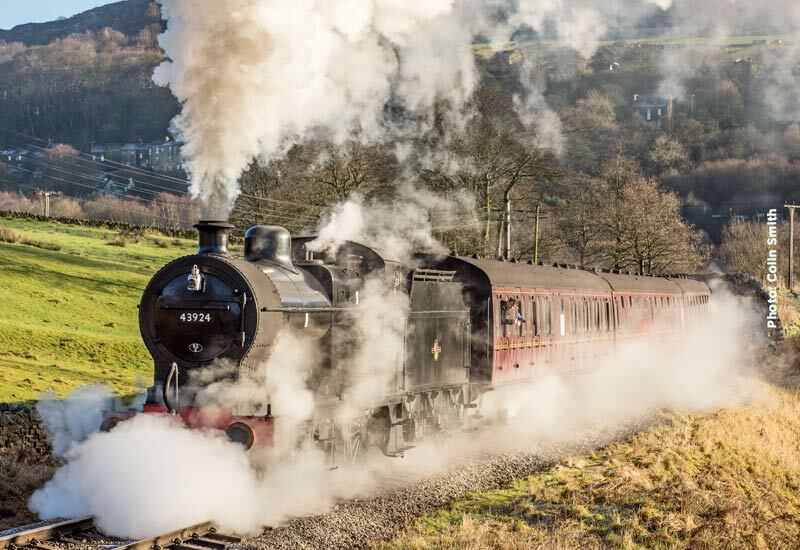 On Saturday the first train departs Oxenhope (diesel railcar) at 09.00 with steam locomotive trains operating from 11.00 and on Sunday, the first passenger service is steam hauled at 10.15. 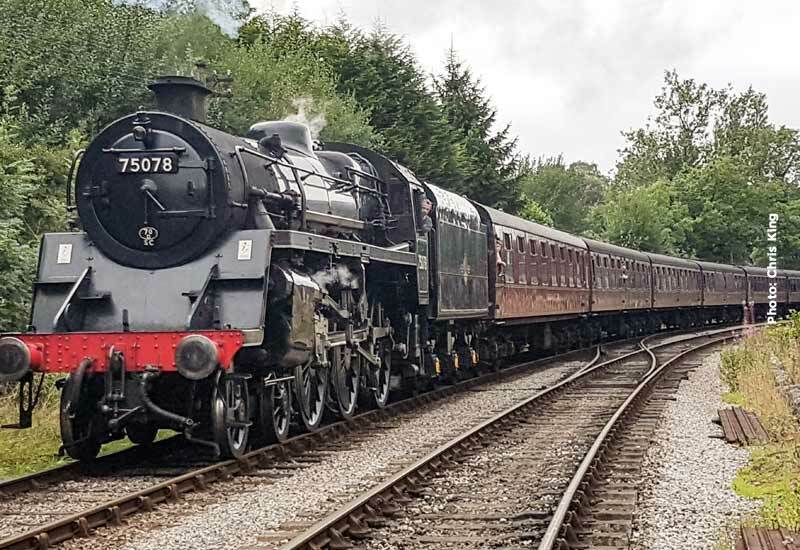 Weekday has the Pink timetable in use with the first service leaving Oxenhope at 10.00 and after a successful return at our 50th Anniversary Gala these services will be hauled by BR ‘Ivatt Tank’ 2-6-2T 41241, resplendent in its KWVR / LMS crimson lake re-opening livery, the first time the ‘Ivatt’ has operated a service train since restoration. We apologise for that error, here is the corrected news post. 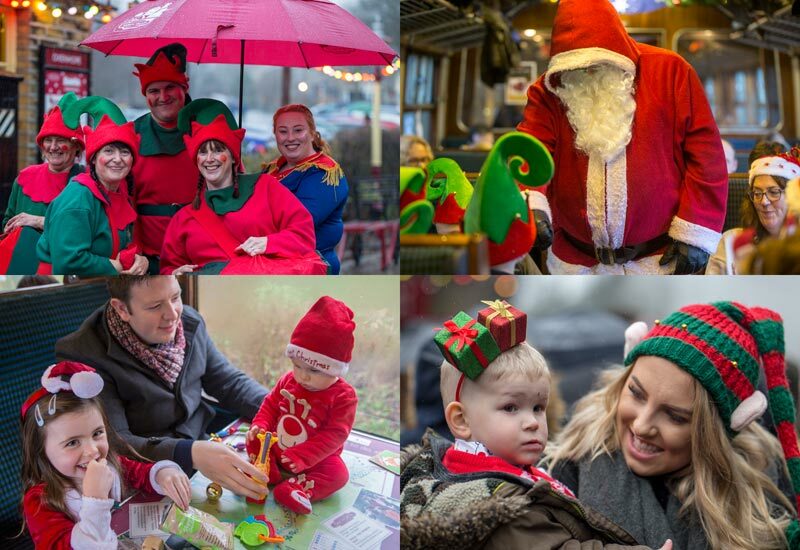 What an 8-day 50th Anniversary Gala we have had and now it is back to normal running with steam trains operating every day. 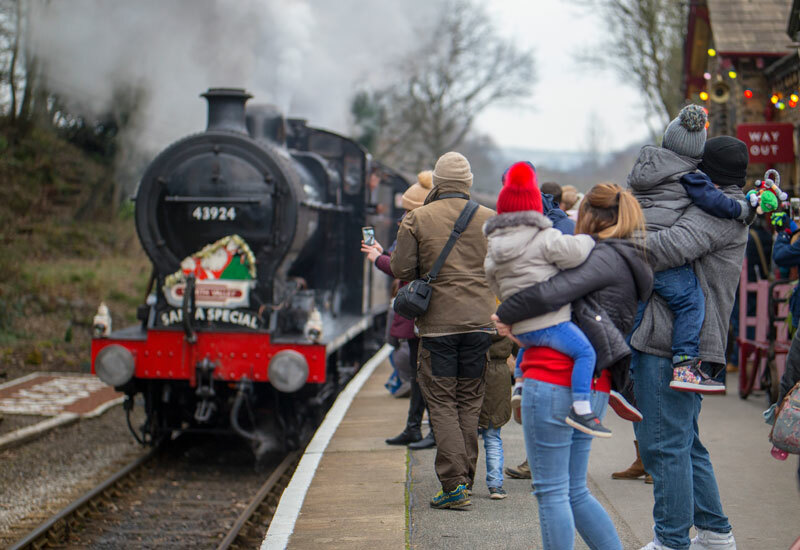 The visiting steam and diesel locomotives are now making their way back to their home bases and so attention turns strictly to our home fleet. For the timetable in operation during the week, please click HERE to visit the main website. MR 4F 0-6-0 43924 has held the fort throughout the week and will continue on scheduled services on Saturday and Sunday. On Sunday 43924 will be joined by USATC S160 2-8-0 5820 for 2 train running on Sunday when the Blue timetable operates. This week is the start of weekday running that now lasts right through to September. There are 4 trains per day on the Pink timetable with 5820 providing the power on all services during this first week. 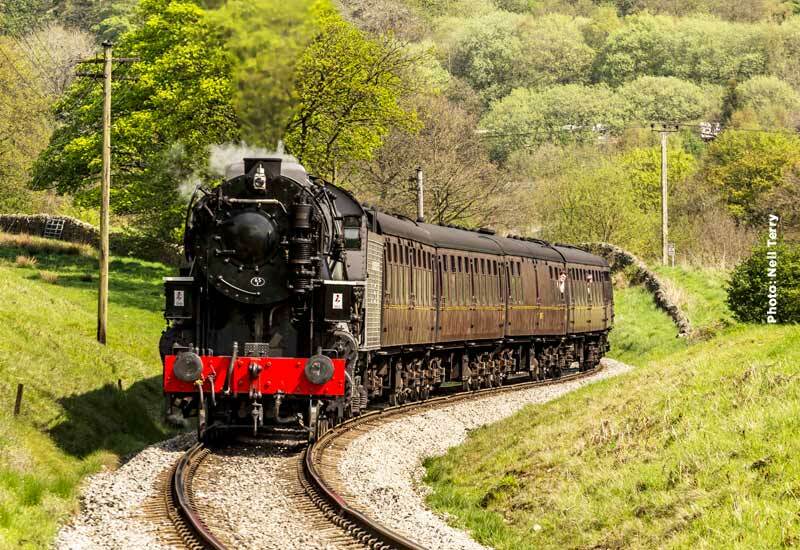 On Saturday the first train departs Oxenhope (diesel railcar) at 09.00 with steam locomotive trains operating from 11.00 and on Sunday, the first passenger service is steam hauled at 10.15. Weekday has the Pink timetable in use with the first service leaving Oxenhope at 10.00. 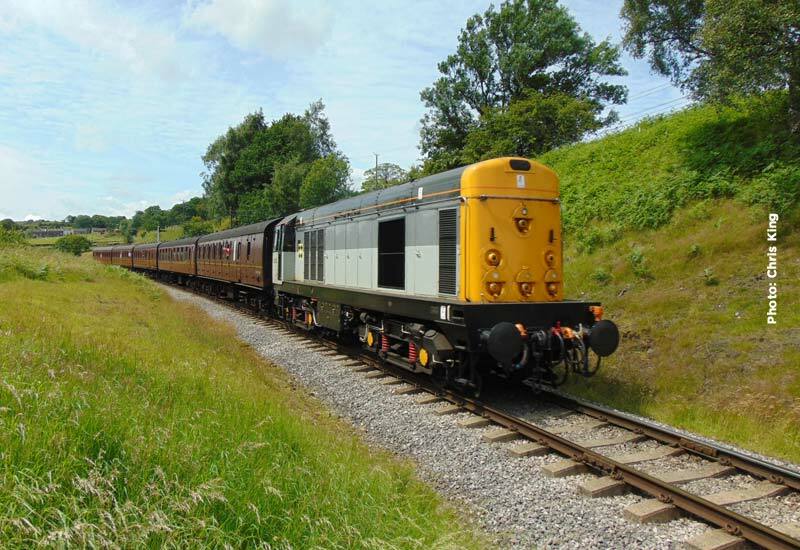 This weekend sees the second of the Diesel & Ale Saturdays when a 2 train service will be in operation with the diesel service in the hands of Class 25 25 059. A selection of real ales will be on offer in the buffet car. 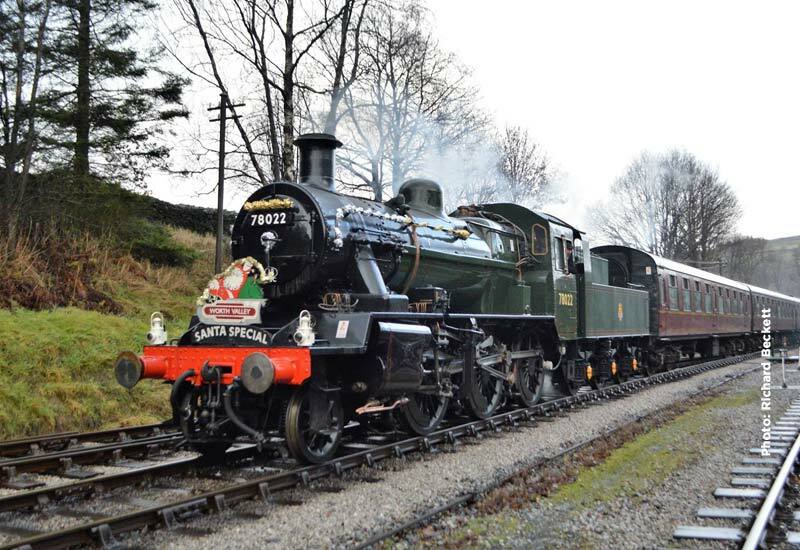 The steam service will have British Railways Class 4MT 4-6-0 75078 at its head. 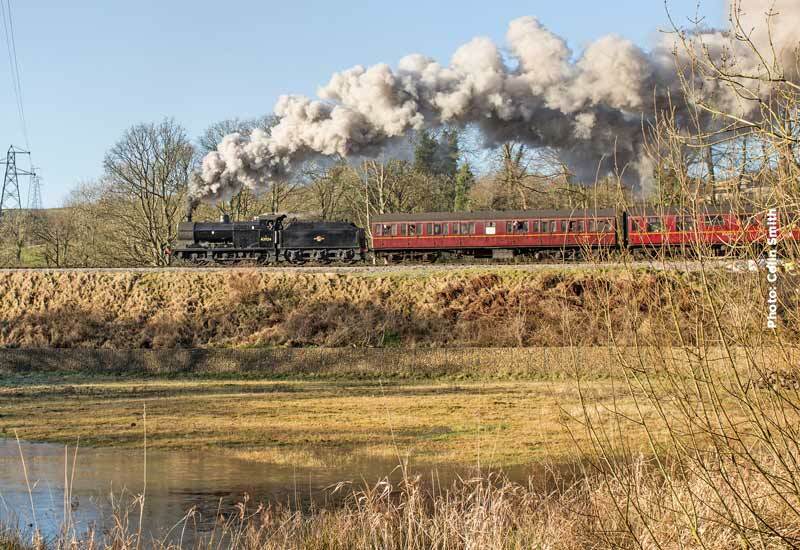 On Sunday and Monday the Blue timetable is in operation on both days so it will be steam locomotives on all trains. 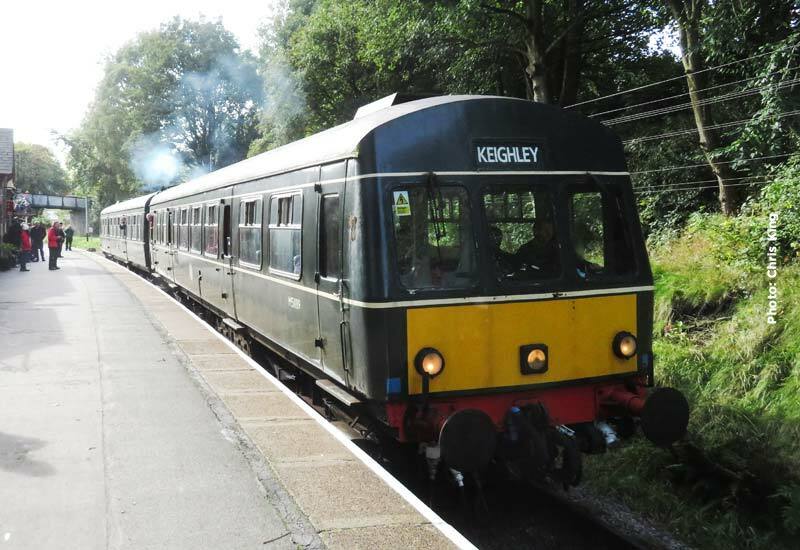 The first train departs Oxenhope each day at 10.15 and the last departure of the day is 17.15 from Keighley. 75078 continues on Sunday and Monday being joined by MR 4F 0-6-0 43924. 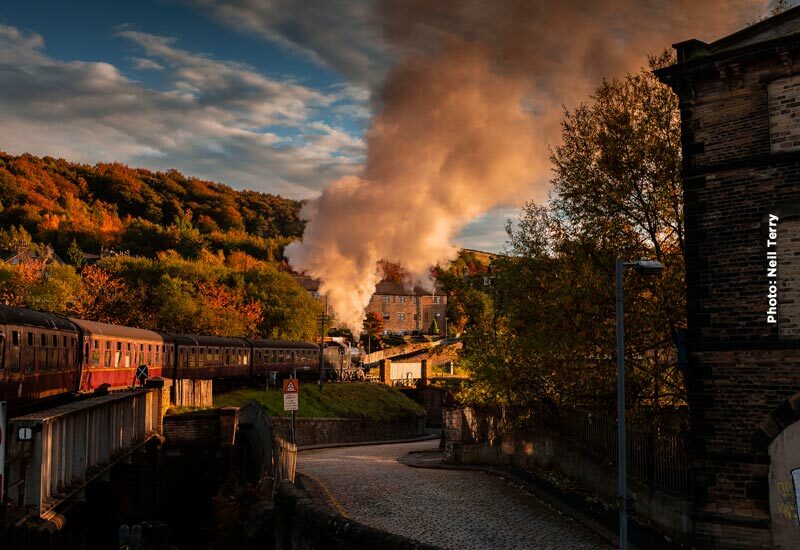 Away from the passenger service, there will be a tour of Haworth Works on Thursday, meet at Haworth Station at 14.00 where your guide will meet you to take you on the tour. 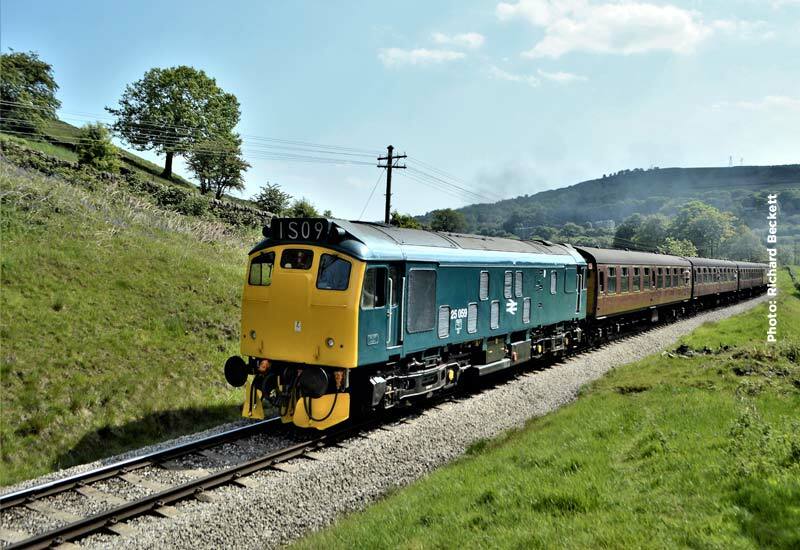 The Diesel & Ale GREEN timetable is in operation Saturday, the BLUE timetable on Sunday and the ORANGE train / bus timetable Tuesday – Friday. Please click HERE to visit the main website. 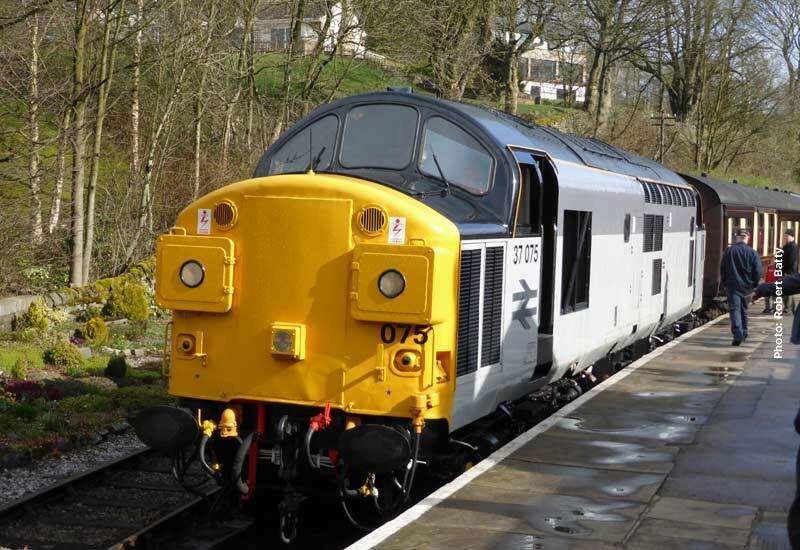 This weekend sees the first of the Diesel & Ale Saturdays when a 2 train service will be in operation with the diesel service, sponsored by Eagle Crag Brewery, in the hands of Class 20 20 031. A selection of Eagle Crag real ales will be on offer in the buffet car. The steam service will have USATC S160 2-8-0 no. 5820 at its head. On Sunday and Monday the Blue timetable is in operation on both days so it will be steam locomotives on all trains. 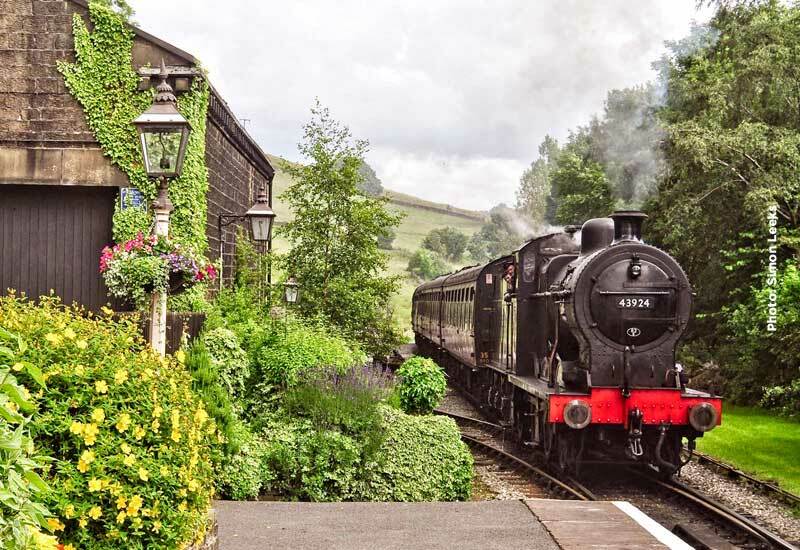 The first train departs Oxenhope each day at 10.15 and the last departure of the day is 17.15 from Keighley. 5820 continues on Sunday and Monday being joined by MR 4F 0-6-0 43924. Away from the passenger service, there will be a tour of Haworth Works on Saturday and Sunday, meet at Haworth Station at 12.30 and 13.00 respectively. The diesel railcar services operates on Wednesday with the Class 101 diesel multiple unit. BR Standard 4MT 4-6-0 75078 has held the fort throughout the week and should be taking a well earned break this weekend. 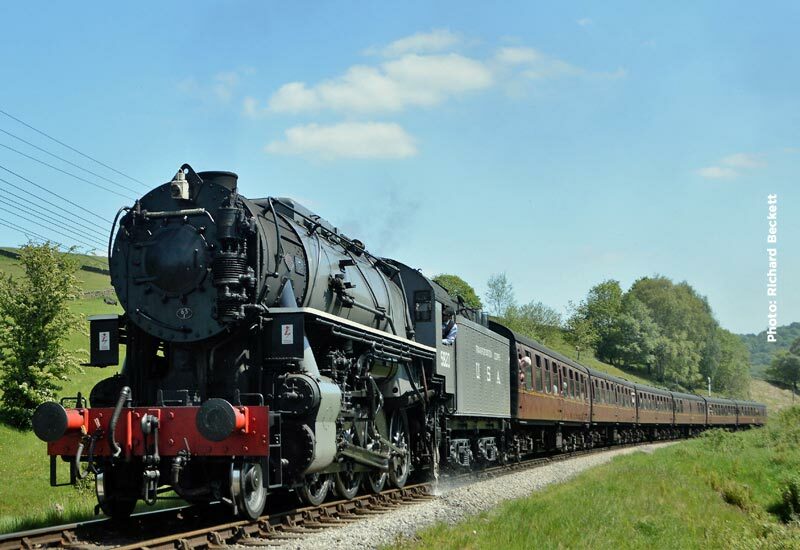 USATC S160 2-8-0 5820 is scheduled to takes its place at the head of the steam service on Saturday and Sunday. However, with 5820 having had to be withdrawn last weekend for repairs to be carried out, should the work not be concluded in time, 75078 will step into the breach, and its rest will have to wait until Monday. 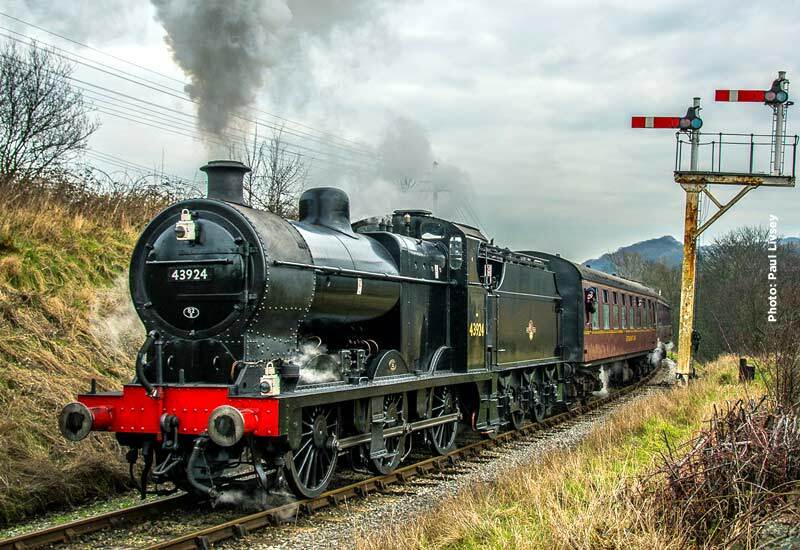 The Easter half term programme of services continue Monday – Friday when MR 4F 0-6-0 43924 will provide the power on all services during the week. 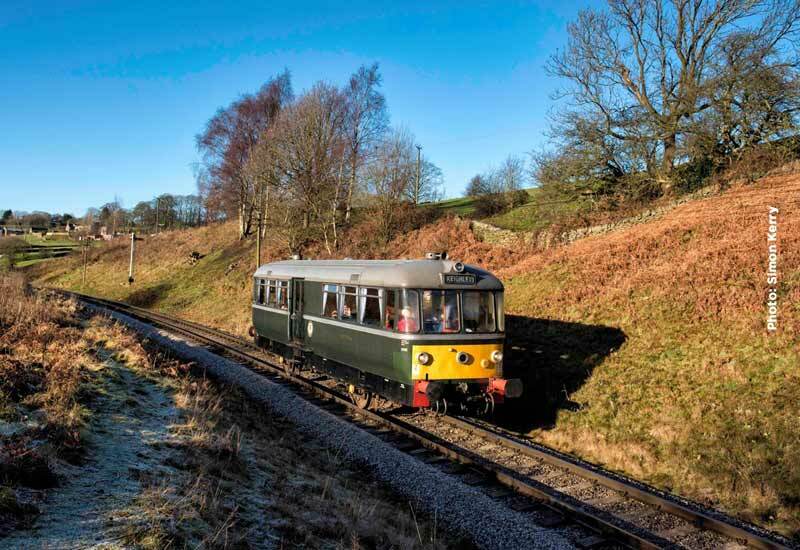 The diesel services on Saturday and Sunday will be handled by our Class 101 diesel multiple unit, with the diesel railbus retired to the comparative warmth of Haworth Shed. 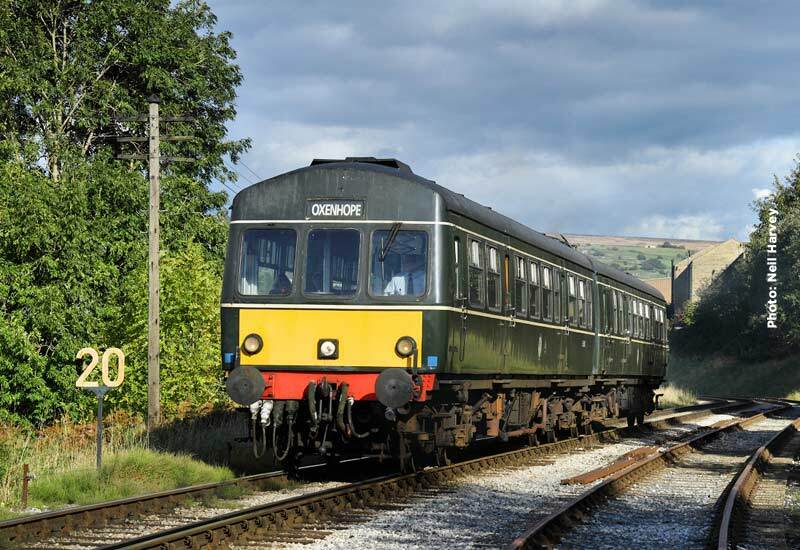 On Saturday the first train departs Oxenhope (diesel railcar) at 09.00 with steam locomotive trains operating from 11.00 and on Sunday, the first passenger service is steam hauled at 10.15, working a two train service with the diesel multiple unit. Weekday has the pink timetable in use with the first service leaving Oxenhope at 10.00.